Party animals, unite!! We’ve got a choreography that’s going to get you on your feet and keep you dancing nonstop. When you combine the vocals of ‘Despacito‘ singer Luis Fonsi with Jamaican sensation Charly Black, you get an infectious hit that you’ll be playing on repeat. 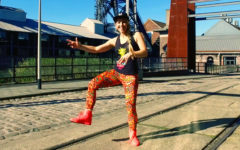 This exclusive Zumba remix of ‘Party Animal’ and the accompanying choreography are meant to make you have some freakin’ fun! You can only hear this version in a Zumba® class, so make sure to ask your Instructor to get the party started ASAP. You can tell them to download this bonus track and full choreography on ZIN™ Now.